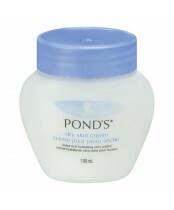 Pond's believes the world would be a better place if we stopped idealizing beauty… and started celebrating it instead. That’s why since 1846, Pond’s has been developing face care products that are not only specially designed for women’s evolving skin care needs and concerns, but also delight the senses and deliver beautiful results. n women’s skin, helping it to glow with youthful radiance, so that she can always look her irresistible, beautiful best.